Clarion Books and Edelweiss gave me the opportunity to read this book for review (thank you). It will be published June 7th. When she finds her mother's grimoire is missing she knows she has to go. Her mother teaches her songs to sing to seek other magically inclined individuals and sends off to find the spell book and stop her from turning into a tree. The first night she sleeps under a tree and when she wakes up, she has a disaster. Someone or something has broken into the bits of potions she had left from the fire. That something was a mouse. He even talks back to her and is as surprised as she is by it. It seems he got a mix of all the potion's benefits and besides talking, he can even shapeshift! He's very helpful because he can gnaw his way through ropes and hedges. She enjoys his company. When the song she sings finally brings her help, it's not in the form she wanted. She gets a weather witch, an enchantress, and a teacher from the local magic college. They're mostly old, their powers are interesting but not altogether useful. And no one wants to lead but they are willing to help. 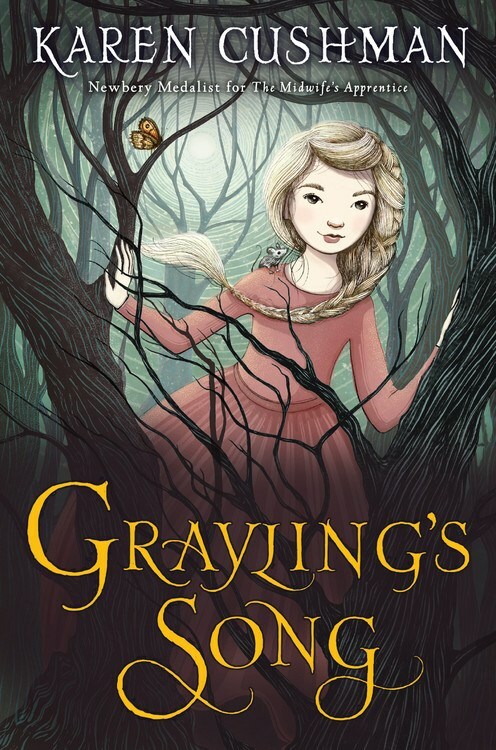 Grayling has no choice but to follow the song of the grimoire and keep looking for it. I liked this story. 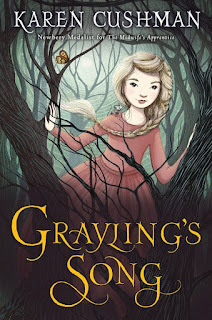 They have a tough time going where they want to go and Grayling is growing up as she goes along. She does what she needs to despite the danger. There's lots of action and it has a good ending. Middle grade readers should enjoy this one.